For nearly 20 years, at Derby Bed Centre we have carefully selected our range of mattresses from some of the finest manufactures in the UK. Covering every budget, feel and material to offer our customers the widest choice. Most of our suppliers come with NBF Approval (National Bed Federation) meaning that in most cases our mattresses come with a minimum of 5 YEARS WARRANTY. Some benefiting from a full 10 YEAR GUARANTEE! Our best selling mattresses include the Galaxy 2000 Latex and the Richmond 2000 Natural from HIGHGROVE BEDS. They come with a 10 and 5 year warranty respectively, both with added side support for longevity. Priced at £599 for the Galaxy (Left) and £499 for the Richmond (Right) they offer great support and comfort combined. Towards the other end of the scale we have the Orchid mattress from Romantica Beds. 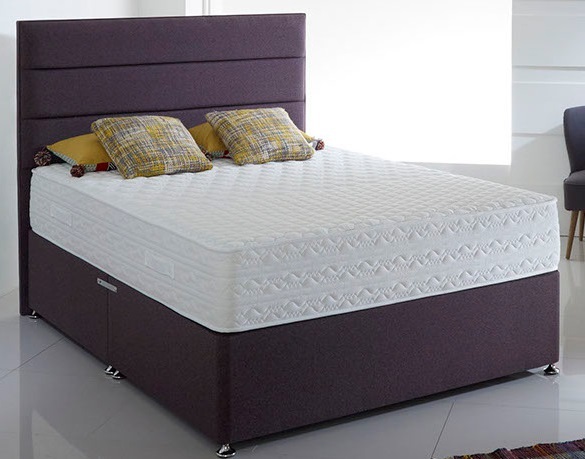 The 12.5 open coil spring unit gives a med/firm feel with generous fillings and at only £199.50 for a double mattress and a full double divan set from under £400 it makes the perfect spare room/teenager bed! Breasley, one of the UK’s largest manufacturers of “rolled” mattresses provide us with a full range of express delivery mattresses. Each benefiting from a full 10 YEAR GUARANTEE AND ARE AVAILABLE TO ORDER right here!!! A RECENT ADDITION TO OUR RANGE IS THE Simba Mattress. 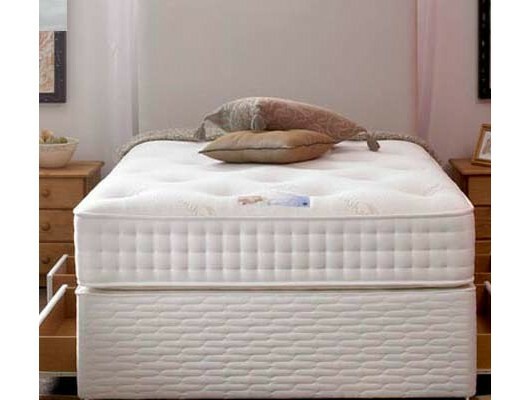 A mattress with a unique combination of 2,500 conical pocket springs and responsive memory foam. It provides five luxurious layers designed to fit you and help you get the quality of sleep you’ve been dreaming of. We developed it together with the Sleep To Live Institute and analysed 180 million data points from 10 million different sleepers to ensure it fits all kinds of sleepers and body types. Order online or give us a call and your new mattress will be despatched direct to you as well as giving you a direct communication with the courier/manufacturer.